A hot Indian summer can last for weeks, or longer, after Labor Day, so don’t give up yet on fun in the sun. For summer’s last hurrah, do it right with these 10 essentials for entertaining and enjoying the outdoors. Gear up and get outside, while you can. Violet Love chic headbands ($17 and up) and bandeaus ($24) that stay in place, at the beach, riding in the convertible, or wherever you head out or bust a move. This playful line of headwear, strapless bra tops and other accessories and apparel items features fun prints and styles and soft, stretchy lightweight fabrics that are comfortable, cute, and functional. 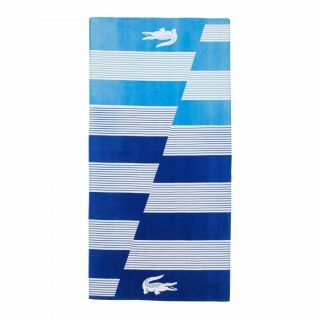 Distinguish your base camp on the beach with colorful Lacoste beach towels (Macy’s, $42). These stylish, crocodile-emblazoned towels are lightweight yet plush and absorbent, and their large size makes them a cross between a towel and blanket, to wrap up in after splashing in the water, or for sandphobes who want spacious ground cover when basking in the sun. If you’ve always wanted a kayak but didn’t think you had the space to store one, Innova Kayaks has a solution that blows traditional kayaks out of the water. 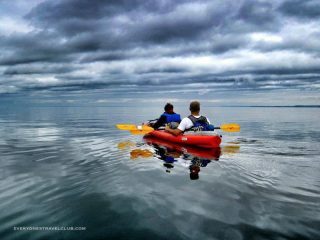 These inflatable kayaks are lightweight and constructed of heavy duty natural and synthetic rubber that will last for years, even decades. They blow up in minutes with a high-capacity foot pump, and after the adventuring they fold up compactly and can be carries away in an oversized backpack and loaded into even a compact car. One-person and three-seater models available, with capacity up to 900 pounds. Available at dealers nationwide $399 to $1,299. Need to Facebook while you are on the beach? Stop being a lame-o and enjoy the beach, but if you do need your phone for an emergency, take along ClimateCase ($34.99) insulating smartphone case. 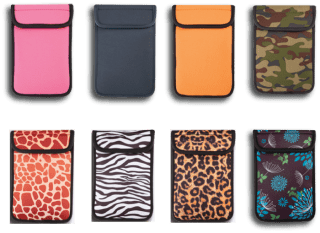 The lined pouch protects your phone against extreme temperatures that can cause a phone to stop working. The case features a multi-layered thermal system comprised of 7 mm of Neoprene and gel infused materials. Pop it in the fridge for four hours before using (or in the microwave for 20-25 seconds in cold weather), to keep your phone safe; or if the worst happens, you can restore an overheated (or frozen) phone in less than 60 seconds. Mosquitos don’t stick to any calendar when it comes to biting season, so keep them away from you and your patio party with Thermacel Patio Shield. ($39.99, at retailers nationwide). 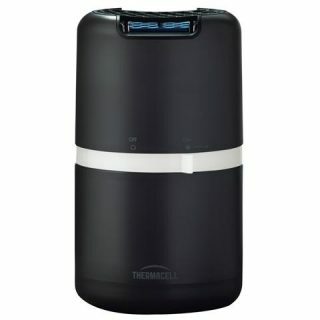 This sleek little portable-speaker-sized mosquito repeller burns an insect repellent mat that creates a 15’ x 15’ protection zone, perfect for a small outdoor area. It uses butane cartridges (four included, to last 48 hours) and two AA batteries to operate. You’ve got your hands full, with beach chairs, blankets, boogie boards and kids. 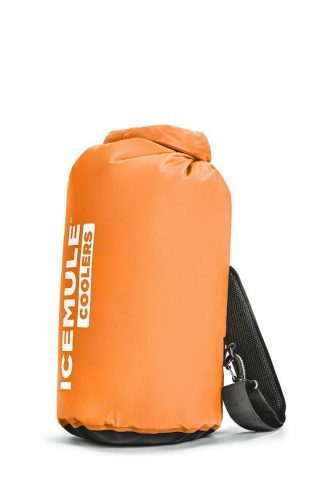 Free up a hand by strapping your cooler on your back, with the IceMule ($49.95 to $69.95), a portable insulated backpack that will keep your food and drinks icey cold for up to 24 hours. These padded sacks feature a heavy-duty inner and outer skin, a range of sizes and a ventilated backpack strap system. In between summer and fall, it’s the perfect time to wear something in between shorts and a skirt. The Royal Robbins Jammer Skort ($60) is a sporty and comfortable skirt with stretchy built-in shorts underneath that allow you to be active and lady like at the same time. Step out in fashion forward and comfort-driven Off the Beaten Track sandals. You can stride in style the best thing next to bare feet, on the boardwalk, at the theme park, shopping, strolling, or anywhere you want to wander in these casual go-anywhere, do-anything earth-inspired leathers, with attention to detail that will make you want to put your feet up, to show them off. The line also features shoes and boots for all seasons, $79 to $179. 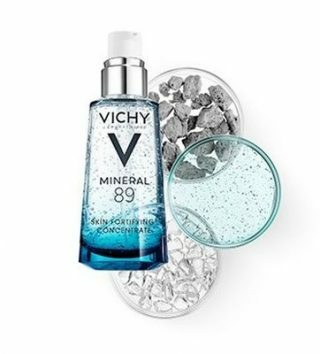 If summer’s sun had taken a toll on your skin, hydrate and refresh it with Vichy’s Mineral 89 ($29.50), a skincare formula comprised of 89% Vichy Thermal Water, derived from mineral-rich volcanic territory in Vichy, France, plus the addition of hyaluronic acid which ramps up the performance of the mineralizing water to boost skin’s resistance to daily aggressors, for year-round healthy-looking skin. When you are tossing some treats into your tote for an outing, its hard to find nutritious and yummy snacks that won’t melt into mush on a hot day. 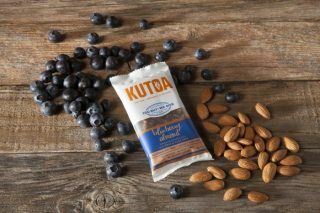 All-natural KUTOA snack bars ($23.99 fo r12-pack)are not only delicious, they are perfect for packing along to the beach or pool, soccer game, or other outing, and you can feel good about eating these oatmeal bars because they are non-GMO verified, vegan, gluten, and contain no dairy, soy, wheat, preservatives or added sugar, plus for every bar that’s purchased, KUTOA helps feed a children in need around the world. Flavors include Chocolate Banana, Peanut Butter and Jelly, Blueberry Almond, Chocolate Espresso Bean, and Cherry Cashew. We'd love to hear from you. Tell us what's happening in your neighborhood, and share your stories. Contact us to learn our guidelines for contributors.